Besieged and attacked, a mother and her children must escape a post-apocalyptic nightmare world of cannibals and betrayal. Jack Murphy thought he’d found the perfect escape for his family from a world gone horribly mad. He thought wrong. 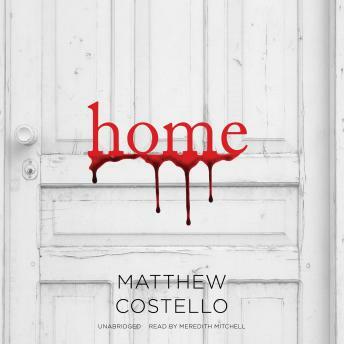 Matthew Costello’s Home begins mere minutes after the terrible sacrifice Jack made to save his family at Paterville Camp in Vacation. Barely escaping, Jack’s wife, Christie, and two children, Kate and Simon, must accept that their lives and their future have changed forever. In this intimate and human survivalist horror story, the three of them will face even greater dangers, as well as yet-unknown horrors, to simply stay alive as together they search for a road “home” in this intense and original post-apocalyptic thriller. This story was horribly slow. It's written so that the entire book should have been the first few chapters.